Recruitment is an expensive business – the entire screening and interviewing process costs companies US$4,000 per candidate, according to Bersin by Deloitte. 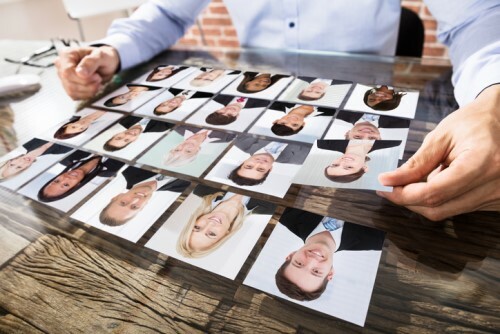 As the talent war intensifies, businesses that pursue talent acquisition strategies blindly – that is, without the right data – will only end up wasting resources on the wrong people. To make recruiting fast, fair, and effective, top organizations use artificial intelligence and data-driven tools to identify who among their talent are excelling, and uncover why and how. “Data gives you ‘talent intelligence,’” Barbara Hyman, CEO of PredictiveHire, told HR Tech News. When organizations take away the ‘gut feel’ and personal bias that taint hiring decisions, and focus instead on metrics that determine success in the role, they are better equipped to optimize talent. This data-driven approach “allows for transparency in decision-making and creates trust in how people decisions are made,” Hyman said. Talent intelligence is one of PredictiveHire’s areas of expertise. At the 2018 HR Tech Summit Sydney, the company won the prize for Australia’s most promising startup for its potential to revolutionize recruitment. “Our vision draws on a powerful alchemy of behavioral and data science,” the CEO said. The AI that powers PredictiveHire is a “sophisticated sifting tool” that screens candidates based on traits, values, and behaviors – not on misleading résumés and personal data. Job applicants only need to answer a simple survey and some “free text” questions. “Running this through our AI, you can identify in a few seconds whether an applicant is a fit for the role,” Hyman said. PredictiveHire is one of the earliest entrants in the market for AI-powered talent analytics, and early adopters are now seeing the “power of data in bringing efficiency and fairness to people decision making,” said Hyman. HR Tech News is asking HR professionals to share insight into the key issues and challenges relating to HR technology. What area of HR technology do you find most complex, challenging or interesting? What do you think will be the biggest game changer or disruptive force to shape the industry in the next five years?